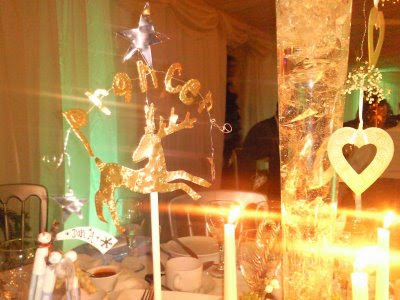 A Winter Wonderland Wedding on Saturday, you just wouldn't believe the effort that had gone into the making and planning. Amy...it was magical!! Hope you all have a magical Christmas, mine starts at 2pm today celebrating Danish style. Looking forward to the singing and dancing round the Christmas tree later tonight.